Baby, you’re a star! 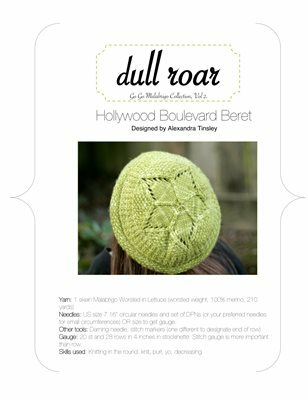 This deceptively simple hat cycles rapidly through different textures, only to be topped off with a plump five pointed star that incorporates the decreases! As written it makes a little tam, but you could add extra length before the decreases for a more typical slouchy hat - perhaps by adding extra rows into the ribbed or seed stitch sections. To enhance the beret shape, block flat as shown in the second photo.